SBC Fred Poppe | Football Club Prime Inc. 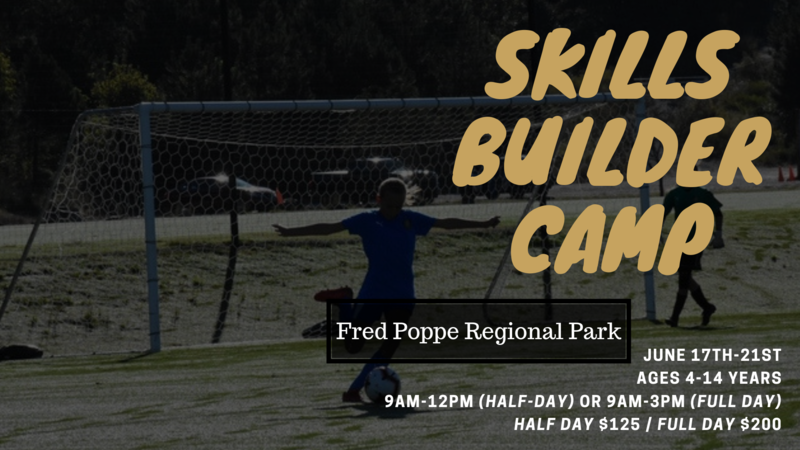 The skills builder camp is designed for players of all ages and abilities. The emphasis for the camp will be to help players build their skill whilst growing their love for the game. Players will be removed from the field of play and partake in classroom actives by the coaching staff until the park is clear of the adverse weather. Para información en español favor de llamar al 530-933-1748.